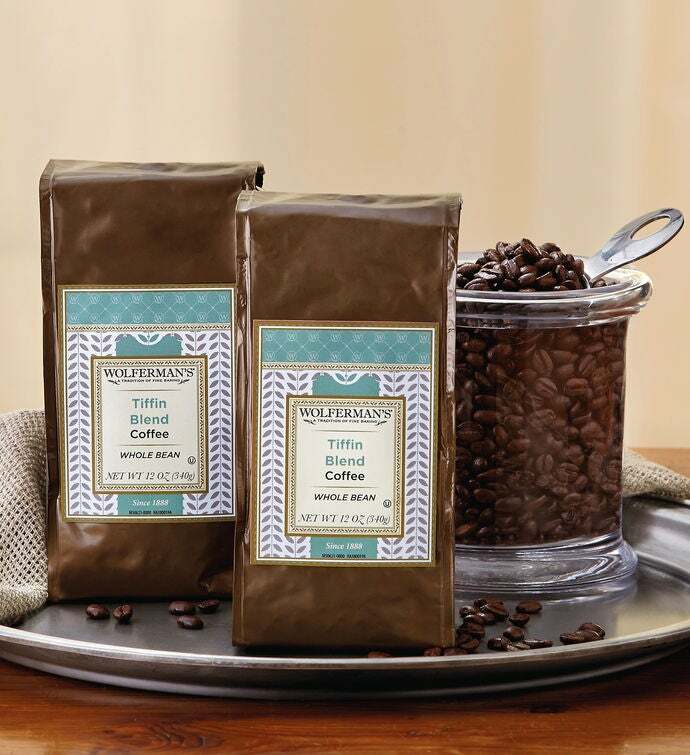 The Tiffin Coffee Duo makes a wonderful coffee gift for the Wolferman's fan on your list. The gift includes two 12-ounce bags of our exclusive Tiffin coffee blend. Presented in whole bean, this coffee is an exclusive blend of Arabica beans from Central and South America. It's aromatic and mild-flavored and provides a consistent brew with medium body and acidity.